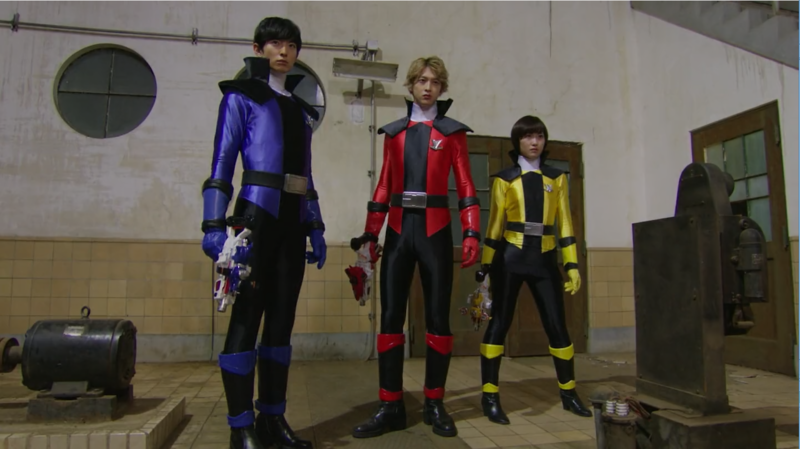 The police and thieves take a break from the action for a Christmas special, Jinga ramps up to a thrilling conclusion and Zi-O continues the battle against his future self! Let’s dive in, shall we? Obligatory Christmas special! There is a major shift in tone this week, as we take a step back from the darker, grittier, almost film-noir action of the previous few episodes to celebrate Christmas with the Rangers. Though the episode does advance the plot, in the beginning and end, not much happens of note in the middle. To start out, Sakuya receives a request from a child to have the Patorangers throw a Christmas party, complete with holiday cake and chicken dinner, both Japanese traditions at Christmas. 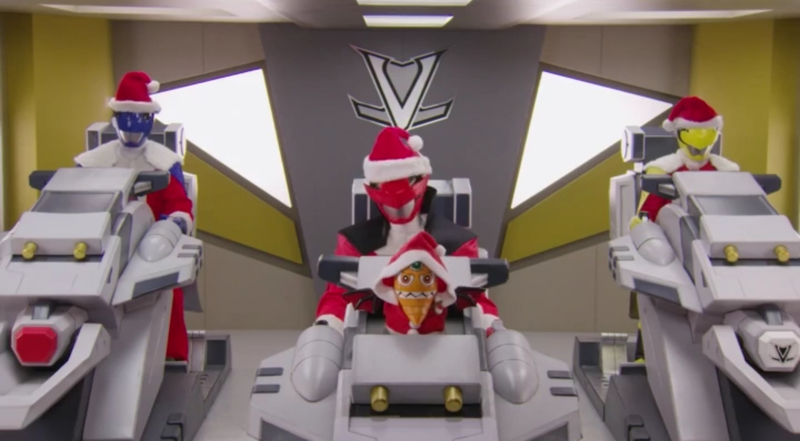 The bulk of the episode focuses on a Gangler called Sahmon, whose driving purpose is to replace the traditional Christmas chicken dinners with salmon for everyone in Japan. Over the course of the episode, Sakuya and Noel focus on taking Sahmon down, with eventual help from the thieves, who are the ones to ultimately defeat him. There is no Lupin collection item this week, no larger stakes, save for the knowledge from the police of a string of missing persons cases set about a year earlier. At the end of the episode, having skipped the party to do research into the cases, Keiichiro is finally able to put together the identity of the Lupinrangers. That’s right. We’re five episodes from the end of the series (six, if you include this one) and one of the police officers has just now confirmed the identity of the thieves. This is a reveal that would have been much better served by coming far earlier, though the next episode promises to expand on this even more. The 2068 arc of Zi-O continues this week, with the fallout of Sougo meeting his future self. Now knowing fully that he has the potential to become the genocidal tyrant called Oma Zi-O, Sougo resolves himself to give up on his dream of becoming a king, and goes so far as to have Geiz destroy his belt. After this succeeds, Sougo begins to think he is free and the future is safe. There is even a moment where Oma Zi-O begins to fade away, laughing as he awaits Sougo’s ultimate decision. Sougo’s resolve is unshakable, even in the face of an assassination attempt by the Time Jackers. 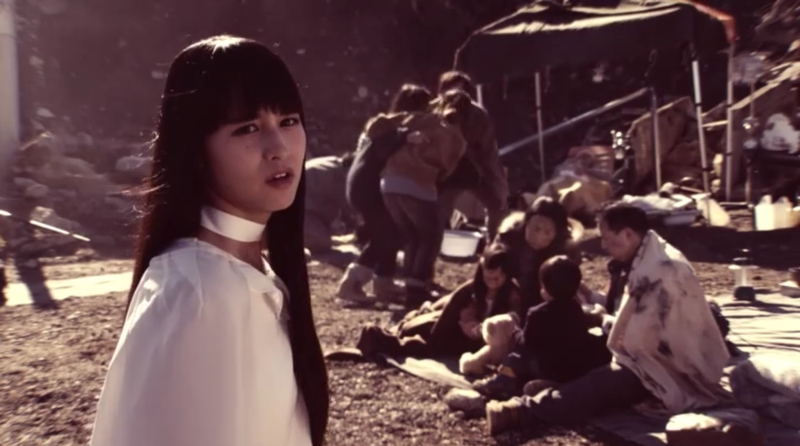 Sougo refuses to fight, running and protecting a child from a stray attack, even without the power of Zi-O, prompting Geiz and Tsukuyomi to delay their return to 2068 and intervene. The attack, having been set up by Woz, is intended to force Sougo’s hand and get him back on the track that will lead to his future as Overlord. This episode features a lot of character growth for both Sougo and Geiz, with some big moments shared between them as well as an interesting shift in viewpoint for Geiz. The biggest moments for Sougo come at the tail end of the episode, with renewed resolve and returned power as he remembers his dream. It all comes together in a satisfying way, and the preview for the next episode promises the debut of Kamen Rider Woz. Picking up where we left off last week, Jinga struggles against Rozen while Fusa and Toma debate the merits of simply going to the Watchdogs, themselves. Another Makai Priest opens the episode with a brief moment spent trying to prove Jinga’s power is real, but we are not shown the conclusion of the test. Instead, the episode focuses squarely on Jinga and his reluctance to give up against Rozen. Though he begins fighting back using strictly non-lethal measures (his sword never leaves the scabbard and he focuses on dodging), the battle takes a darker turn at the midpoint of the episode. Through sheer resolve, Toma makes the choice for himself and Fusa to willingly go to the Watchdogs, even as Alva protests to Jinga to give up. When Jinga refuses and keeps fighting, he ends up killing one of the knights in Rozen’s squad, before turning his blade another way. A shocking, sudden death leads to the battle that caps off the episode, and will seemingly be the focus of the series finale, which airs next week. The Jinga we have followed, the knight, fights hard against the horror within, the Jinga from the summer Garo film, Kami No Kiba. When the series concludes next week, we will see which side prevails, and ultimately the beginning of the future of Garo as a franchise. Personally, I do not want to see Jinga redeemed. He has made for a compelling primary antagonist, both to the other Makai Knights and to himself. This shifting dynamic has proved to be a breath of fresh air for Garo as a franchise, and I hope it will continue. Stay tuned here after the finale next week for more. Ultraman R/B has now officially concluded, and thoughts/reviews will be coming once the series is made available with English subtitles past episode 19. Stay tuned for more! On Christmas day, the leaked images of next year’s Super Sentai team, Kishiryu Sentai Ryusoulger were confirmed to be accurate, along with a story synopsis and official romanization of the name, per Toei. This will be the 43rd Super Sentai series, and the fourth to feature a dinosaur theme. The writer, producers, and showrunner have also been revealed, listed below. An era when dinosaurs were everywhere. When attackers sought to take over the world, bringing war, knights were selected to stand against this threat. 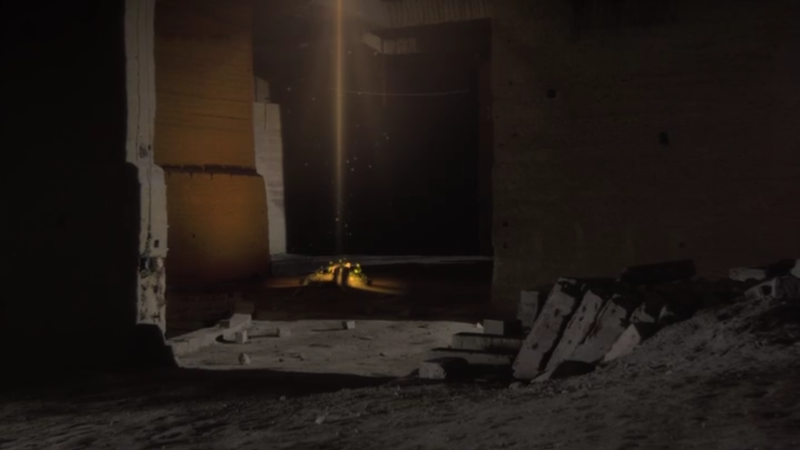 A meteor falls to the earth and brings the era of the dinosaurs to an end. Those chosen knights then chose to live the rest of their lives quietly on earth. In preparation for the return of this enemy, dinosaurs with great power were made to sleep in a temple. Now, at the end of the Heisei era, the attackers have returned to Earth, pushing their evil to the limits of the universe. Now, it’s time to grasp the powers of the dinosaurs! Now is the time to protect earth’s peace with that power! Ryusoulger marks the first entry into Tokusatsu for veteran J-Drama writer Junpei Yamaoka, but with a solid crew bringing his vision to life, only time will tell how Ryusoulger is realised. 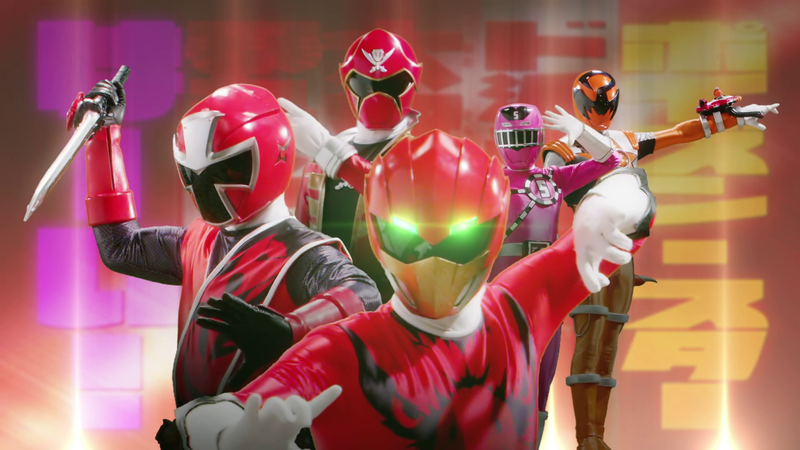 Kishiryu Sentai Ryusoulger will premiere 17th March, 2019 on TV Asahi, with English subtitles like to follow. Anime and tokusatsu collide in a highly satisfying way in SSSS.Gridman. With the series completed, we take a look back. SSSS.Gridman a faithful love letter to tokusatsu as a genre, full of easter eggs and satisfying design choices that make it feel right at home among its classic contemporaries. Co-produced by respected anime veteran Studio Trigger and Ultraman creators Tsuburaya, every episode feels like an evolution of the types of stories that can be told through the lens of tokusatsu and anime, while remaining faithful to fans of live-action “Guys in rubber suits” action and Trigger’s traditional visually stunning animation at the same time. This series serves as a modern, anime-based retelling and reimagining of 90s-era tokusatsu series Denkou Choujin Gridman, which was later adapted into the short-lived American tokusatsu series Superhuman Samurai Syber Squad. Presumably, the latter is what the SSSS. stands for in the name of this series as well. SSSS.Gridman centres on average student Yuta Hibiki, who wakes from a coma to find he has no memories of his life. As he begins putting the pieces together, he is assisted by his friends Rikka Takarada and Sho Utsumi, and the three eventually stumble upon Hyper Agent Gridman, living in an old computer in the back of Rikka’s family’s curio shop. This sets up the first episode of an action-packed series that keeps throwing plot twists at the viewer and evolving, right up to the finale. 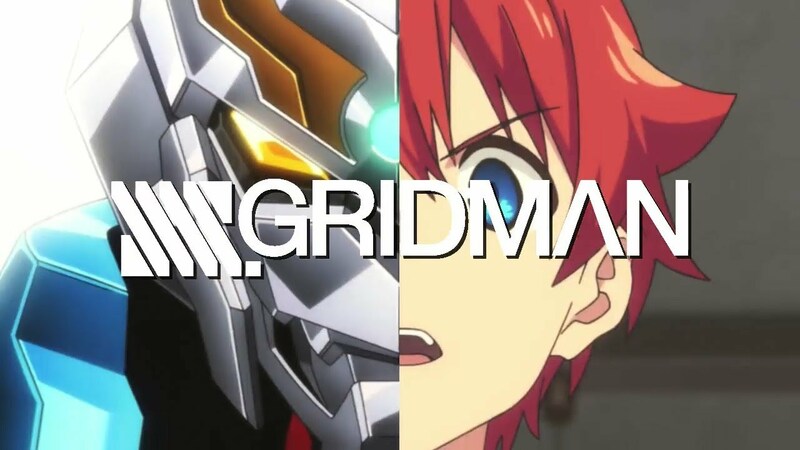 All throughout, the core team of Yuta, Rikka, and Utsumi learn about each other, and about their other allies, who transform with Yuta to become Gridman’s upgrades and weapons. Everything about this series is made to feel as authentic to tokusatsu series, and specifically Ultraman as possible, while also expanding on what can be shown and done through the lens of anime. This includes small nods like the first introduction of each new form for Gridman, and later GridKnight, using the same entrance animation as seen in recent Ultraman shows, with the camera zooming slowly on the head of the hero, making it appear as though he is growing. Kaiju look and move as though they are being rendered in live-action, moving the way people in costumes would move and including parts like long, flopping heads and necks, slow and bulky movements around the city, and more. This even extends to the “scenery” Kaiju, who are always shown in the city skyline but never seem to move. Another big nod comes in the introduction of the series’ primary antagonist, Akane Shinjo. 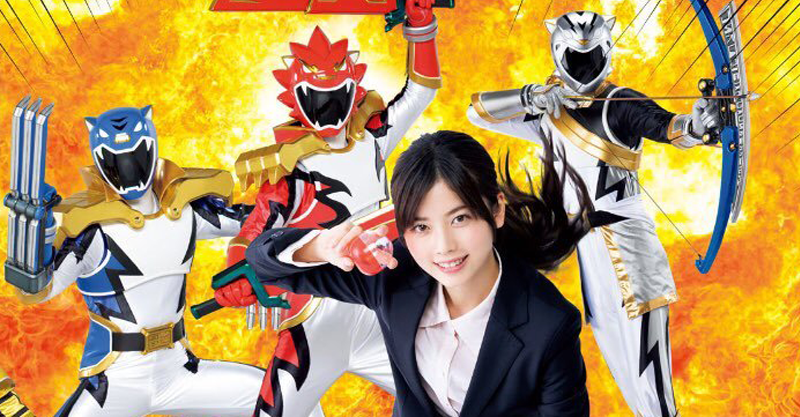 This “Kaiju girl” is, by her own admission, a fan of Ultra series, as is Utsumi, and builds her Kaiju to go rampaging around the city when she gets bored. Shinjo and her alien companion, Alexis Kerib, repeatedly destroy and reset the city, erasing or killing people Shinjo does not like or finds distasteful along the way. When the source of Shinjo’s power is revealed, it leaves the heroes reeling, trying to figure out what to do, and this arc becomes the late half of the show’s driving force. Overall, I highly recommend giving this series a watch, if you have the time, and at only 12 episodes, it’s worth every second. All episodes of SSSS.Gridman are available in Japanese, with English subtitles via Crunchyroll/VRV, or with dubbed English audio via Funimation. What did you think of SSSS.Gridman overall? Leave a comment and let’s discuss! The police and thieves learn the truth of Noel’s past and Zi-O sees his future for the first time! Let’s dive in, shall we? Coming off the heels of last week’s revelation that Noel is not entirely human, we learn a great deal more about his actions and his heritage, as well. The episode focuses largely on Noel and how the teams react to him, now knowing the truth. The thieves catch up with him first, and he is finally able to explain that though he is not human, neither is he a Gangler. Rather, Noel, Kogure, and all the people who work for the Lupin family are members of a third race, which is not explicitly named but is something akin to traditional elves. Having fled to Earth after their own world was taken over by Ganglers, this race blended in with human society, under the seemingly immortal Arsene Lupin. Noel’s entry point into the story, it is revealed, is at the exact point the Collection is stolen by the Ganglers. During the attack, Arsene Lupin is said to have been killed, and Noel, his apprentice, takes up the search for the items to fulfill the dream of Arsene Lupin. Satoru, still distrusting of Noel, is eventually revealed to be a Status Double Gangler, using two powers to mimic voices and control actions. Through flashbacks, this control ability is used to explain Noel firing on the other Patorangers before, as well as Noel giving Tokageru a piece of the Lupin collection. The next episode, despite being one of only four or five remaining, appears to be a standalone Christmas special. It will certainly be interesting to see how the writers manage to tie this into the main narrative, if at all. The 2068 Arc of Zi-O kicks off this week, though with a relatively small amount of the action actually set in that future. What does happen in 2068, though, is a fundamental building block for the development of Sougo as a character, and will likely shape him in grand ways in the episodes to come. The episode begins with an unexpected turn of events. While debating what to do about Decade, Geiz urges Sougo to simply throw away his belt, the Jiku Driver, and cease being a Kamen Rider, in the name of preventing the Demon King Zi-O future. While Sougo begins to debate this option, our heroes are attacked and the city is besieged by war machines from the Demon King’s future, which match the ones Sougo claims to have seen in a dream as a child. This dream gives purpose to Sougo’s life, and makes the life goal of becoming a king seem suddenly much more reasonable. In the ensuing battle, Decade intervenes and Sougo sees Tsukasa unmasked for the first time. It’s ultimately Decade himself who initiates the time travel to 2068, where Sougo and Tsukuyomi become trapped. The future is bleak, it seems, though we don’t get to see much of it, as all the future scenes seem to take place in the same bare, open field. The emotional moments come mainly in the exchange between Sougo and his future self, the old man who is Oma Zi-O. What begins as Sougo seeing his own future and coming to terms with that quickly turns violent, and the younger Sougo finds himself on the receiving end of a beating. Oma Zi-O reinforces, in a powerful way, Geiz’s earlier idea that the only way to avoid becoming Oma Zi-O is to throw away the power of Riders completely. 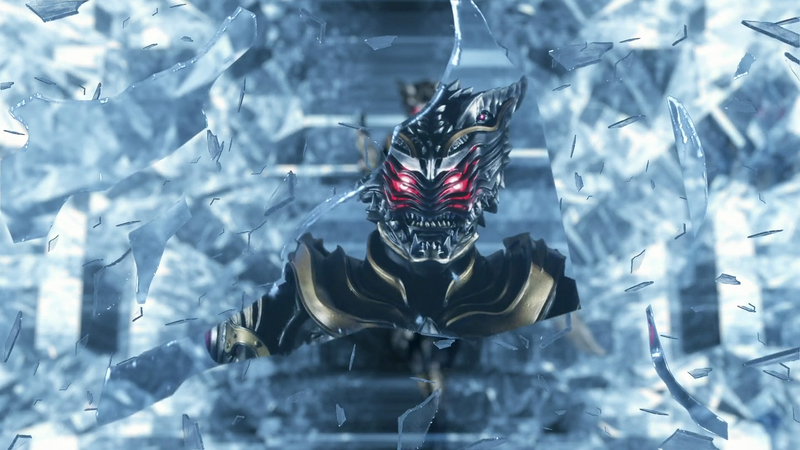 In the next episode, continuing the arc, it’s implied that Zi-O will receive some kind of upgrade, and we are assured to see more of Oma Zi-O as well. Look forward to the next episode when it airs this coming Saturday night (Sunday, JST). 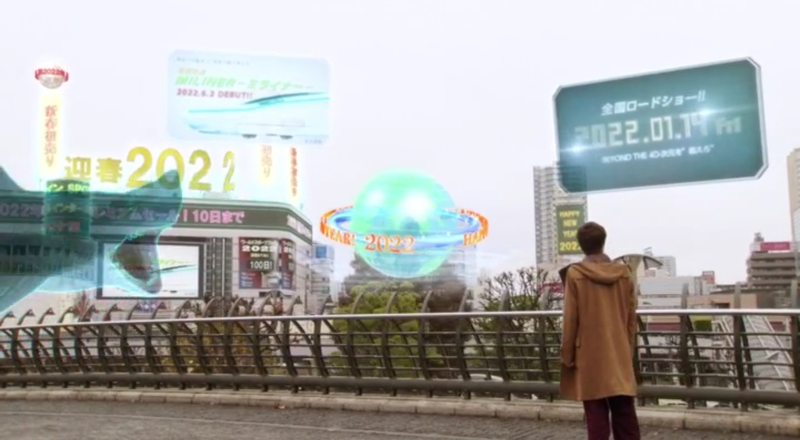 We’ll be skipping Episode 9 of Jinga, as that episode acts as a recap for the first arc of the series. Episode 10, however, picks up where episode 8 left off, with Grand Master Rozen asking the Watchdogs for permission to bring in Jinga. This is coming off the heels of a fellow Grand Master and his son both having been murdered in the previous episode. 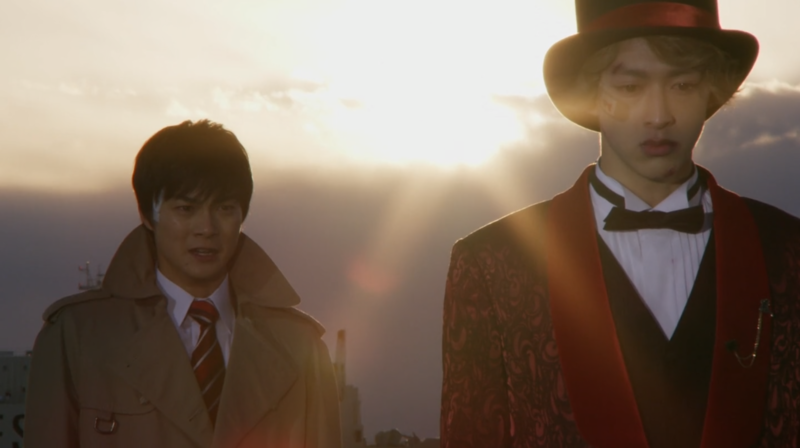 Rozen is understandably skeptical of what Jinga claims he can do, as a power like that has never existed before. He claims the power acts in direct contrast to what Makai Knights should be doing, which is killing horrors. To aid him in learning more, Rozen goes to Fusa, asking if she trusts Jinga, and what kind of person he is. Fusa, through flashbacks and her own expository monologue, explains that she trusts Jinga implicitly, and thinks he is doing the right thing. As things continue on, Jinga and Rozen come into more direct conflict, ending with Jinga captured by Rozen and a squad of Knights at the episode’s end, accused of the murder of Rozen’s apprentice, Shijo. The next episode promises to continue the conflict, and hints at a more direct showdown between the two. Ultraman R/B has now officially concluded, and thoughts/reviews will be coming once the series is made available with English subtitles past episode 17. Stay tuned for more! SSSS. Gridman full series review coming next week! Hey all, just a quick note here that we’ve not forgotten about SSSS. Gridman! The series is ending with episode 12, airing on 12/28/18, and we’ll be doing a full series recap/review after that episode airs!